Could Be Architecture is a Chicago-based design practice directed by Joseph Altshuler and Zack Morrison. We design seriously playful spaces, things, and happenings that celebrate what your world could be. We work across scales, including designs for buildings, interiors, installations, scenographies, exhibits, furniture, costumes, and publications. We are practitioners and academics, equally invested in built pragmatics and speculative research. We are also citizens and artists, committed at once to public engagement and aesthetic ambitions. Through our work, we aim to create architecture that tells stories, builds audiences, resonates with people’s emotions, and instigates enthusiasm around the activities and imagery that it stages. Fueled by a collaborative adventure with clients, consultants, and colleagues, we position architecture as an active character in the world, enacting a future full of wonder, humor, color, and delight. Follow our adventures on Instagram. Could Be Architecture also publishes SOILED, a mashup of a literary journal and design magazine that narrates a playfully sincere and seriously humorous exploration of oft-overlooked dimensions of our built environment. 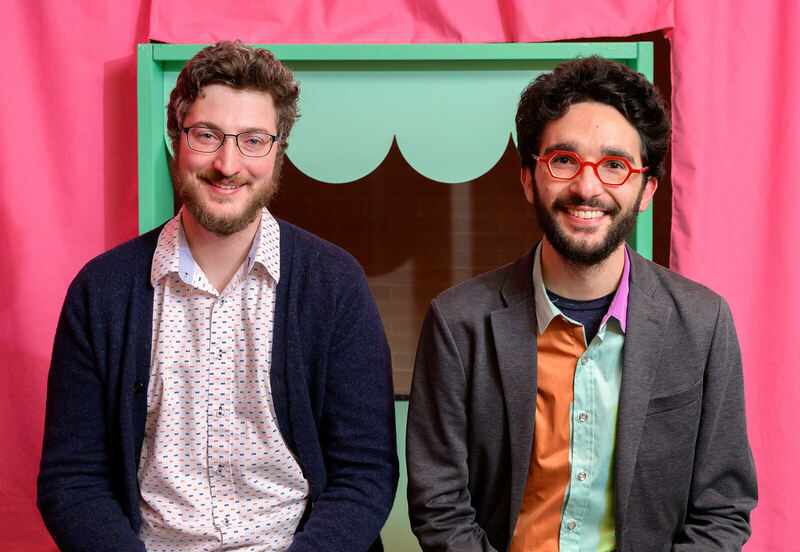 Joseph Altshuler and Zack Morrison are architectural designers, educators, curators, and writers. Collectively, they offer over a decade of experience working on residential, commercial, and institutional projects. Joseph teaches at the School of the Art Institute of Chicago and the Illinois Institute of Technology, and both Zack and Joseph were teaching fellows at the 2017 Critical Practice Studio at Lawrence Technological University. Their writing has been published widely in journals including Log, MAS Context, Pidgin, and Plat, and they regularly contribute to the Architect’s Newspaper. Both partners hold Master of Architecture degrees from Rice University. Collaborators: Cosmo Design Factory, Matthew Harlan, Chelsea Ross, Ladi Famodu, Darrell McKinney, Katanya Raby, Norman Teague, Latent Design.